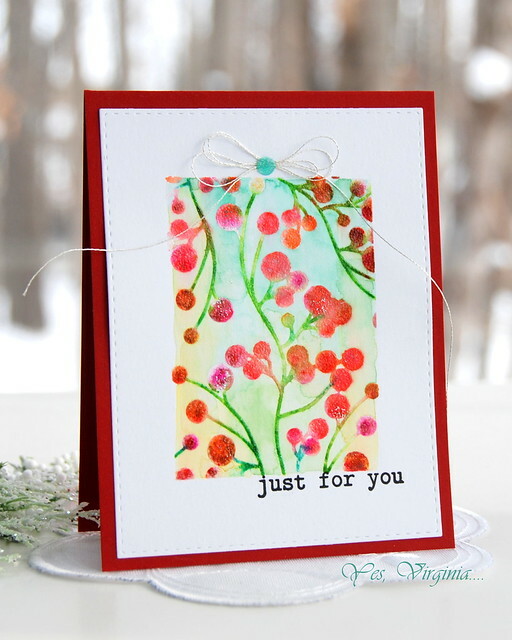 I am popping in with a quick post about this new stamp "Merry Berry"
The solid images from this stamp offer many possibilities of color choice. I decided that the berries do not have to be all red. I proceeded to color them with Zig markers and Spectrum Aqua. 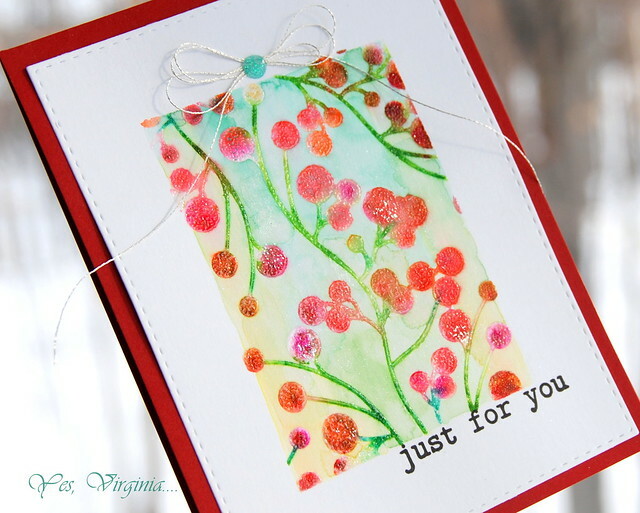 With the help of MISTI, I was able to add various colors multiple times. Once the images were colored to my liking, I clear-embossed the entire image and colored in the background with Kuretake watercolors. It's as simple as that. The key is to use the right kind of paper....I used Bristol paper for this purpose. You can use any watercolor paper (medium to heavy) as well. 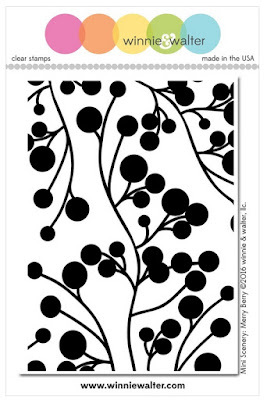 Hope this inspired with stamps like these. 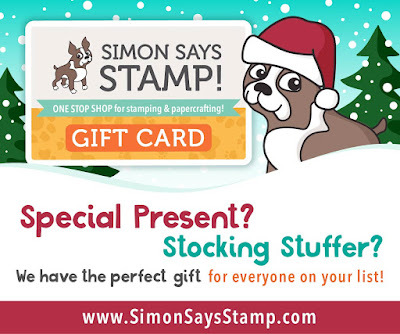 Btw if you are running out of time and would like to give a last-minute gift to your crafty friends, Simon Says Stamp Gift Card is a great option (see here ). Altenw is running a special promotion to celebrate the holiday season. Ooooh, Viginia, the colours are so pretty! 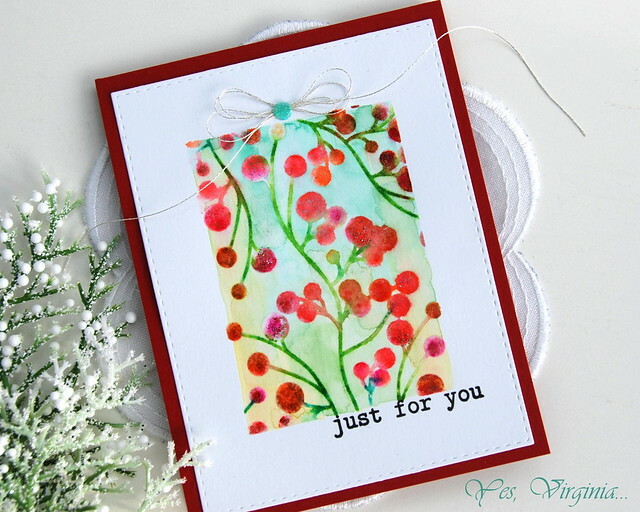 Then with the clear embossing on top it ramps it up to gorgeous! LOL A great job as always! Very pretty Virginia! The little bow and dot of color at the top is the perfect embellishment. Thanks for sharing! Hope you have a very merry Christmas! The sparkle and shine on this is so pretty!